Mike Moroney expects debut winner Hawker Hurricane to be competitive in the Blue Diamond Prelude. 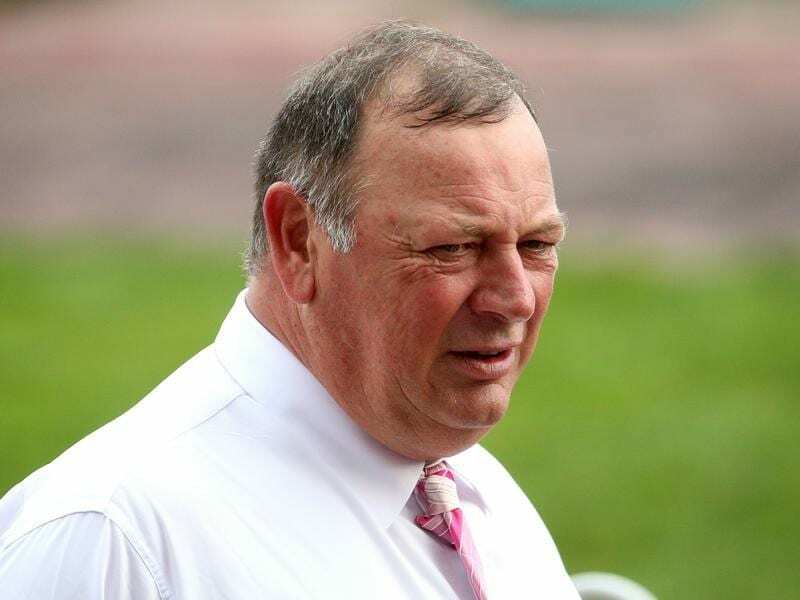 The Mike Moroney-trained colt finished strongly to win the Ballarat Clockwise Classic over 1000m in November before connections decided to give him a three-week break rather than target January’s $2 million Magic Millions 2YO Classic at the Gold Coast. Hawker Hurricane was instead directed to a Blue Diamond preparation and gets the chance to put those ambitions to the test in Saturday’s Group Three Prelude (1100m) for colts and geldings at Caulfield. “He had three weeks in the paddock after his debut and he’s had a fair bit of work and a nice jump-out to get him ready for this,” Moroney said. “He had a nice hit-out on Tuesday so fingers crossed he measures up. “He brings some new form to the race but we think a fair bit of him. I Am Immortal, winner of the colts and geldings Blue Diamond Preview (1000m) on debut on January 26, headlines the field of 10 for Saturday’s race. “The only real way we can get a line on how he’ll measure up is through (stablemate) Alburq,” Moroney said. Alburq is scheduled to have a jump-out at Flemington on Friday ahead of Saturday week’s Talindert Stakes at the same track.